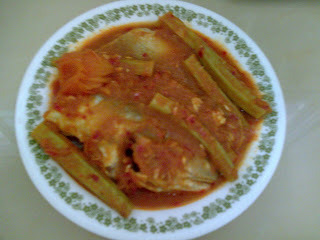 This is also a popular Penang dish. Nonya restaurants will serve this dish with silver pomfret (Tau Teh) but you can get it with ikan pari or black pomfret in most "economy rice" stalls in Penang. 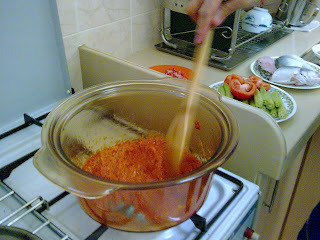 The curry paste consists of chilli paste, shallots, kunyit (tumeric) and serai. Sometimes we add lengkuas and garlic also. For those of you overseas, it would be a good idea to bring some curry paste in sealed packets. But you can also use dry curry powder. Just mix the powder with chopped shallots before cooking. 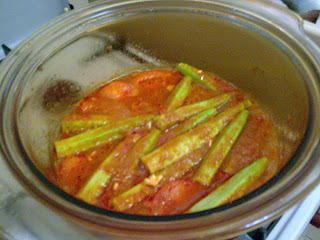 Assam Curry fish does best with okra or ladies fingers and tomatoes. If you prefer Indian curry then you can add terung or brinjal (also called aubergine) For this version of curry fish, we use tamarind juice. 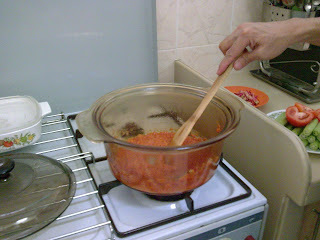 And we add chopped bunga kantan. This is the traditional Penang nonya taste. Some people prefer the Indian style when cooking curry fish. 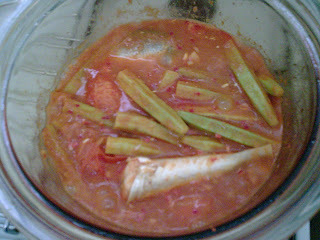 You don't have to add tamarind juice and bunga kantan for Indian curry fish, just add a little santan. But actually it all happens on your taste, just experiment and see which is to your liking. Cooking is just like chemistry, you have to experiment and come out with something you like. Practise makes perfect. First you heat some oil and fry the paste till fragrant. 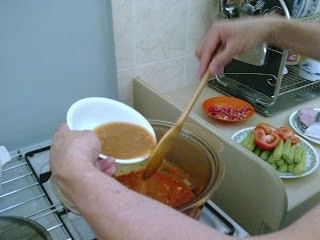 Add in the tamarind juice, tomatoes, ladies fingers and some bunga kantan. Add salt and sugar to taste. 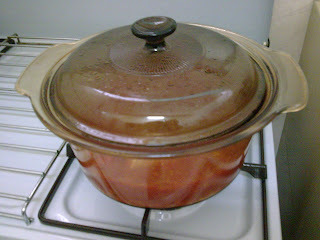 Let it cook for about 8 to 10 minutes. 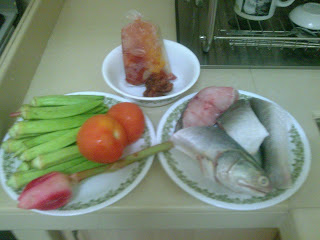 Check the taste, add in the fish and cook for a further 8 to 10 minutes. 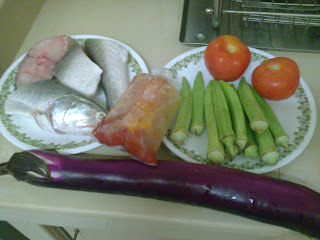 You have to try out the cooking time to know how long to cook depending on the size of your fish and ladies fingers. The skill in cooking can only come from experience. The fish should not be overcooked. This is where your technique comes in.